For today I wanted to share a tip that really helped all of the painting we are doing in our house right now, we have textured walls and even though I love them, they are a pain when you want to do anything other than a plain wall. 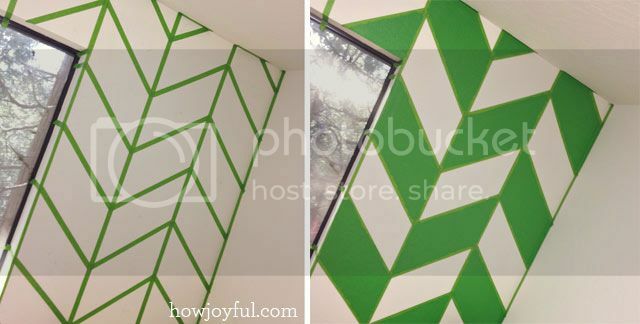 I wanted shapes in one of my sewing room walls and after a run-test with frog tape when I worked on the fan, I knew I needed something else to make this a success. 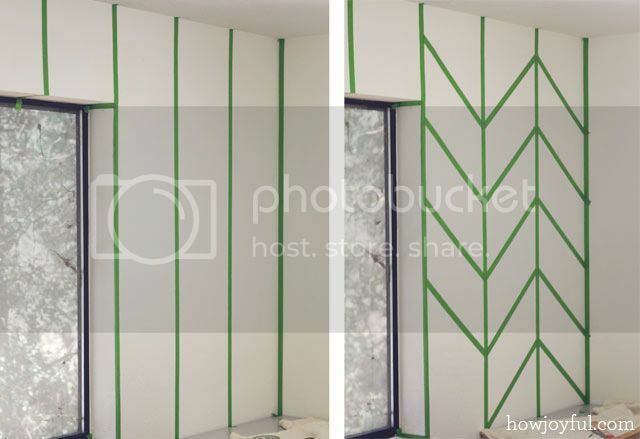 First I draw a scaled version of the pattern I wanted, just to make sure it was “busy” enough after I was happy I measure and started taping my wall. But just working with my nails to get to every little bump of the texture, I have to admit started to bother me after just one little piece of tape. So my little secret weapon to master that textured wall without losing my fingers trying to flatten the tape: An eraser. I simply “erased” the tape line in the side I was going to paint, I have to admit that it was kind of a pain, but trust me the results improved 200%, and I went from retouching EVERY line to almost no retouching at all. In my case, I marked all the ones that needed to be painted and then worked on all the lines that were going to touch the paint. trust me there were a lot of them, but even with this extra step I manage to get the whole wall taped and prep in about 1 hour. 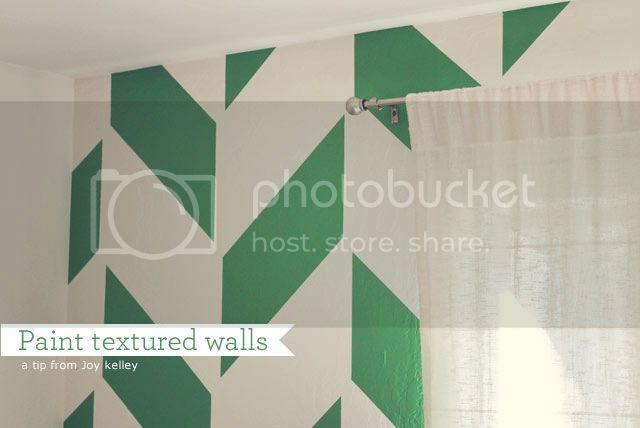 Oooh, I love this twist on the chevron pattern! It looks great! Very lovely! Now if there were an easier way to rid our house of popcorn ceilings! The person who invented them needs to be drug out into the street and shot! I can’t wait to see the full room- this looks so good! Very interesting idea and the result is very nice !! I am eager to see the rest of your sewing room !! What a hoot. I would have never thought of this pattern but after seeing it, love it. Please never stop. Wow! So far it looks amazing! I can’t wait to see the finished room. 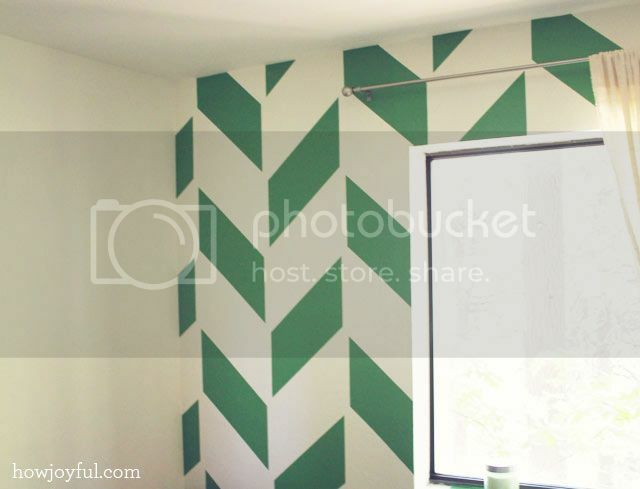 I love the Chevron pattern!!! Slightly obsessed with patterns in general. My question is the paint color, I love the green and would like to know what color it is and who makes it? Also wondering how you made your Conner Mateo sign, I didn’t find a tutorial about that so I was wondering if that was purchased or DIY.